Why on earth study babies to get a better understanding of Alzheimer’s dementia in adults? 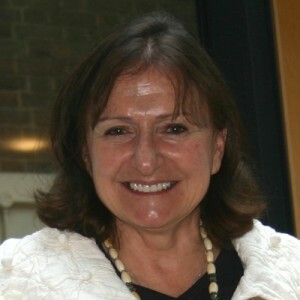 This post was contributed by Professor Annette Karmiloff-Smith, who will be delivering a paper on this topic at the International Conference on Infant Studies, which is taking place in Berlin from 3-5 July. Together with my team at the Centre for Brain & Cognitive Development at Birkbeck, I am studying babies with Down syndrome to identify risk and protective factors for Alzheimer’s disease later in life. Why babies, when it’s an adult disease? And why Down syndrome? During my Invited Address to the International Conference on Infant Studies (ICIS) in Berlin I will argue that it is vital to trace adult outcomes back to their origins in infancy if we are to understand the developmental trajectory of dementia. Interestingly, Down syndrome lends itself well to such research because one of the genes implicated in the brain pathology of Alzheimer’s in adults, the APP gene, is situated on chromosome 21, so it is over-expressed in Down syndrome from the very start of development because babies with Down syndrome have three copies instead of two copies of the APP gene. All individuals with Down syndrome ultimately get the amyloid-beta plaques typical of Alzheimer’s brain pathology, yet not all of them get dementia in adulthood. Why? What protects some and what makes others vulnerable? The fascinating challenge is to understand how combinations of effects at the genetic, cellular, neural, cognitive, behavioural and environmental levels contribute to these individual differences over developmental time. My talk will explain how the study of babies with Down syndrome may yield clues to protective and risk factors for Alzheimer’s.